I am not very tech savy. Please someone rescue me. My name is Donna and I'll be helping you to help yourself clean up your computer. Tech savvy or not, together we can conquer the beast that has invaded your computer. Please read this post completely before beginning. If there's anything that you do not understand, please don't hesitate to ask before proceeding. Please note that I am a volunteer. I do have a family, a career, and other endeavors that may prevent immediate responses that meet your schedule. Do note that the differences in time zones could present a problem as well. Your patience and understanding will be greatly appreciated. First of all, the procedures we are about to perform are specific to your problem and should only be used on this specific computer. 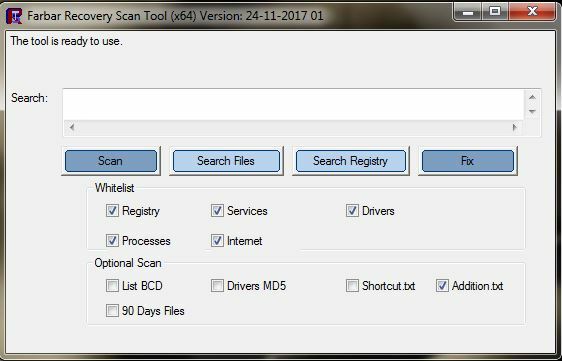 Do not make any changes to your computer that include installing/uninstalling programs, deleting files, modifying the registry, nor running scanners or tools of any kind unless specifically requested by me. Please read ALL instructions carefully and perform the steps fully and in the order they are written. If things appear to be better, let me know. Just because the symptoms no longer exist as before, does not mean that you are clean. Continue to read and follow my instructions until I tell you that your machine is clean. If you have any questions at all, please do not hesitate to ask before performing the task that I ask of you, and please wait for my reply before you proceed. Scanning with programs and reading the logs do take a fair amount of time. Again, your patience will be necessary. Now, let's begin our adventure in cleansing your computer. Right click on the FRST64.exe and choose Run as administrator. Give FRST64 a moment to check for updates. You'll see the message "The tool is ready to use" in the upper left corner of the bluish/grey part of the tools user interface screen when you can proceed with the following instructions. Under Optional Scan make sure there is a checkmark in the box for Addition.txt to ensure it creates that 2nd log. Please copy and paste both logs in your next reply. I am trying to run the program however I can not see the text in the pop up box. it is blank ... I guess the virus wont allow it to show.. here is a screen shot of what i see. also, once the program runs. where will the logs be found? yes i am that ignorant. The log will be found wherever FRST is located. If you downloaded it to your desktop that is where the logs will be saved to. If downloaded to your downloads folder, the logs will be located there. What Operating System (OS) is installed? Windows 10? Try booting it into safe mode. I will need to know which (OS) is installed to provide instructions on how to enter safe mode if you're not sure how. windows 10 home version. I couldn't see what it said but the scan tool is running right now. should i stop it? I have no idea if I had the right boxes checked .. I just clicked on the blue grey box at the top left and it started to do somethingl. No. Go ahead and let it run for now. ProxyEnable: [.DEFAULT] => Proxy is enabled. IE Session Restore: HKU\S-1-5-21-2751042415-2246998964-2558403214-1001 -> is enabled. CHR StartupUrls: Default -> "hxxp://www.google.com/","hxxp://search.imesh.net/?sver=3&appid=73","hxxp://search.yahoo.com/?type=599486&fr=spigot-yhp-ch"
HKLM\...\StartupApproved\StartupFolder: => "Verizon Online Backup and Sharing for PC.lnk"
HKLM\...\StartupApproved\StartupFolder: => "McAfee Security Scan Plus.lnk"
HKLM\...\StartupApproved\Run32: => "Vault Explorer Cache Watcher"
HKLM\...\StartupApproved\Run32: => "LogMeIn Hamachi Ui"
HKLM\...\StartupApproved\Run32: => "Acrobat Assistant 8.0"
Description: Activation of app Microsoft.Windows.Apprep.ChxApp_cw5n1h2txyewy!App failed with error: -2144927142 See the Microsoft-Windows-TWinUI/Operational log for additional information. Description: Code Integrity determined that a process (\Device\HarddiskVolume4\Program Files\Windows Defender\MsMpEng.exe) attempted to load \Device\HarddiskVolume4\Program Files\Bonjour\mdnsNSP.dll that did not meet the Custom 3 / Antimalware signing level requirements. Perfect! You need to give yourself more credit. You are infected with the Smart Service rootkit. As you can see, the logs are pretty long. Please sit tight for a few minutes there so I can review the logs. by the way.. thank you so very much for this.. helping me .. I could kiss you on the face. !! Edited by aKay47, 24 November 2017 - 11:05 PM. Ok that's fine. Sorry it is taking so long. This particular infection installs a ton of files. KMSpico is illegal and used to activate pirated software which is a violation to copywrite laws. I also see that you have uTorrent installed. I must warn you that this type of program is of the highest nature that infections are invited into your Computer. I suggest that you remove it through your Control Panel. Though the programs themselves are not malicious, the chance of downloading a malicious file is like playing russian roulette. Any file could be the one that will turn your computer into a very expensive door stop. P2P Programs can invite spyware, viruses, Trojan horses, or worms into your computer. When the files are downloaded, your computer becomes infected. If you share these files with others, their computer becomes infected as well. You also invite the possibilities of others stealing your personal information such as passwords, online banking accounts, personal files, etc. Now, the fix script that I created to cleanse a portion of the infection I will attach below. Hopefully this will give you better control of the system so that we can download and install other tools that we need to cleanse the rest of the files this infection installs. Download the attached fixlist.txt to your Desktop. Click FRST64.exe icon to open the program. FRST64.exe will execute, search and find the fixlist.txt downloaded to your desktop. When FRST64.exe is finished executing the script, the fixlist.txt will disappear and will be replaced by a log that will be named (Fixlog.txt) which you will find on your desktop. Please post it to your reply. I will wait to post my next set of instructions after I see the Fixlog.txt. my son uses my computer with torrent.. I think the files you are talking about are his doing. do i uninstall all of them from the console? also, which button is the fix button? in case i can not still see the text in the program boxes? Ahh... kids. My son trashed 2 computers downloading pirated versions of movies and games using uTorrent. Once with the ZeroAccess rootkit infection and the second time with Cryptowall 3.0 ransomeware. Silly kid even turned around and attached his 1TB HDD into the sick computer encrypting thousands of his personal pictures, Navy documents, music, movies, etc. The majority of the files were never recovered because he did not make any backups.Lucky for him I demanded to create the recovery disks for him. This is what the screen on the user interface if the FRST tool looks likes. Hopefully that will help knowing where the Fix button is located. If not, try booting the computer into safe mode. That may help to get better control till we can get that rootkit off there.